Our Current Limited Time Discounted Price – $5,250. About 1 night based on doctor’s recommendation. Who Qualifies for Lap Band? Candidates with a BMI exceeding 30 (some exceptions for lower BMI) qualify for gastric banding in Tijuana with Bariatric Surgery World (BSW). Please note that only the doctor can suggest if a candidate qualifies for lap band or not based on his/her medical questionnaire. We provide free pick-up services from the San Diego International Airport or any hotel close to the border or the airport in San Diego. Boasts of clients from the US, Canada and even Europe. To learn more on this bariatric surgery hospital in TJ, click on the hyperlink. What are others saying about choosing BSW for facilitating their gastric banding surgery in Tijuana? A lot of good things! We have a huge compendium of Mexico bariatric surgery patient testimonials and feedback. One such client of ours, Darlin Pitts from Dallas, Texas, talks about her experience of traveling to TJ for her surgery in this video. Why Choose the Border Town for Your Surgery? Lap band, a restrictive surgical procedure, shrinks the size of the stomach by using a silicone band. The band divides the stomach into two compartments – a small upper pouch and a larger lower pouch. This weight loss surgery reduces the amount of food the stomach can hold. The narrow passage between the two pouches delays emptying of food, making one feel sated after eating smaller quantities of food. Lap band surgery is also known as laparoscopic adjustable gastric band, LAGB, A-Band, gastric banding and stomach banding. Make sure you educate yourself on the procedure. Pare down your diet; this will prepare your stomach for the substantial dietary changes you will have to make after your surgery. Replace unhealthy snacks with lean proteins, fruits and vegetables. Start working out. Consult your physician in this regard. You will have to stick to a liquid diet for at least two weeks after your surgery. You will be able to graduate to pureed foods three to four weeks after your surgery. Eat only small portions of food. Do not drink water for at least 45 minutes after eating. Replace the consumption of pasta, rice and bread with soft fruits and veggies. Make sure you incorporate an exercise regimen into your routine. Ask your physician about the kind of exercises that would suit you after your lap band procedure. Before you begin your search for a competent surgeon, you need to clearly understand all the aspects of lap band surgery and how they will affect you. Consult your primary-care physician to determine if adjustable gastric banding surgery in Mexico is right for you. After you have a solid understanding of the procedure, create a list of bariatric surgeons in Tijuana. Verify whether each surgeon on your list is board-certified and has an up-to-date license from his/her country/state’s medical board. Once you have verified the list, contact them and ask them for some referrals and patient testimonies. You can get in touch with Bariatric Surgery World to find a reputable hospital and bariatric surgeon in the Mexican border town. Lap band here in the Mexican border town can provide a cost-effective solution to people struggling with obesity. 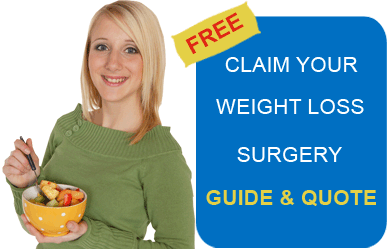 Click on the hyperlink to learn more on Tijuana as a weight loss surgery destination. Submit the free quote-request form on the right for more information on affordable lap band surgery in Tijuana, Mexico.